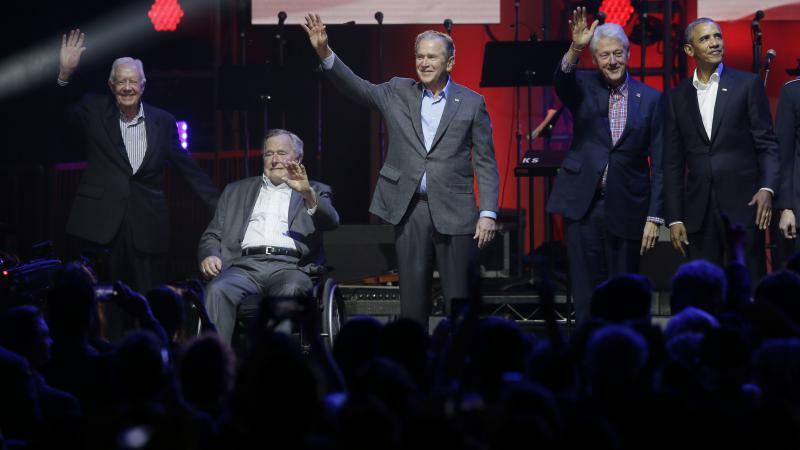 For the first time since 2013, the five living former presidents appeared together at a concert Saturday night to raise money for hurricane victims. Democrats Barack Obama, Bill Clinton and Jimmy Carter and Republicans George H.W. and George W. Bush were on stage in College Station, Texas, to try to unite the country after the recent storms. The concert at Texas A&M's Reed Arena was to raise money for the victims of Hurricanes Harvey, Irma and Maria. Editor's note: To hear our full interview with Jimmy Carter, tune into Weekend Edition on Sunday, March 23. 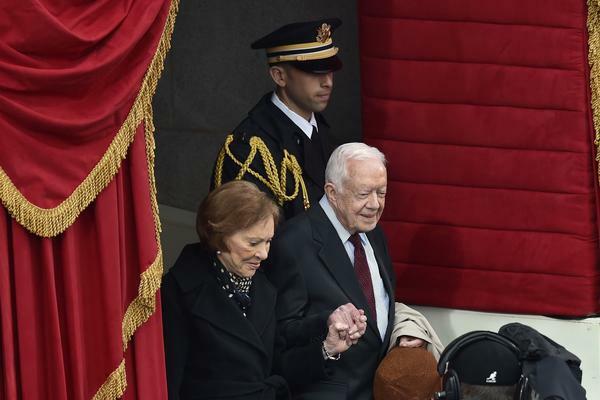 President Jimmy Carter has written more than two dozen books over the course of his career, about everything from the art of aging to how to achieve peace in the Middle East. All his writing is anchored by a deep-seated belief in the equality of all people. 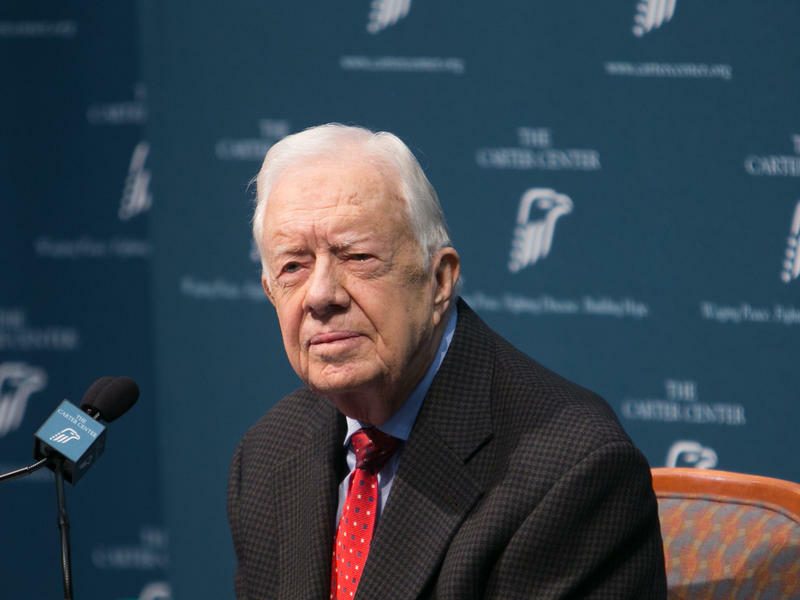 Recent news about his cancer has prompted numerous tributes to former President Jimmy Carter. Commentator Lee Cullum looks back to when she first met him. 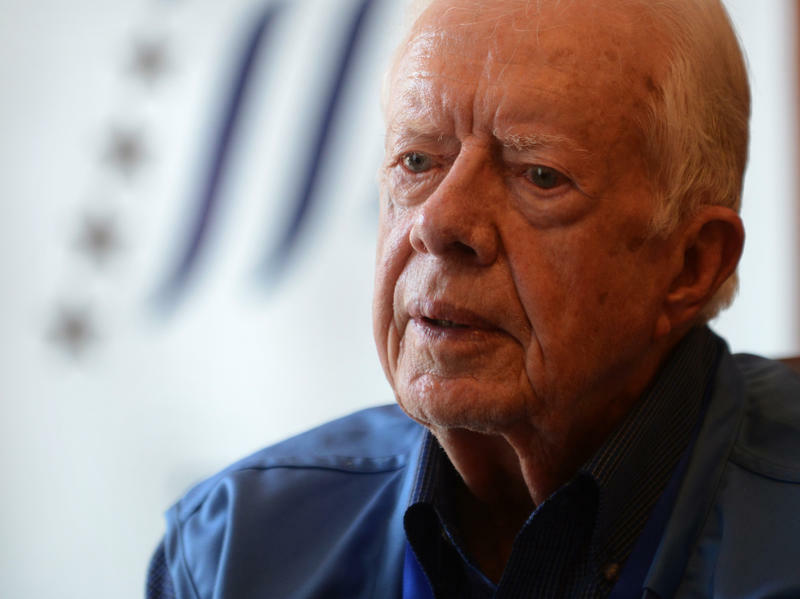 Jimmy Carter told a press conference he called on the morning of the day he would have the first radiation treatment on the cancer in his brain, "I'd like for the last guinea worm to die before I do." Mr. Carter was frank, funny and graceful speaking this week about his health, and his faith. But his remark about the guinea worm may have puzzled a few people. Jimmy Carter is on a mission. The 89-year-old former president has issued a blunt manifesto in book form titled A Call to Action: Women, Religion, Violence, and Power. 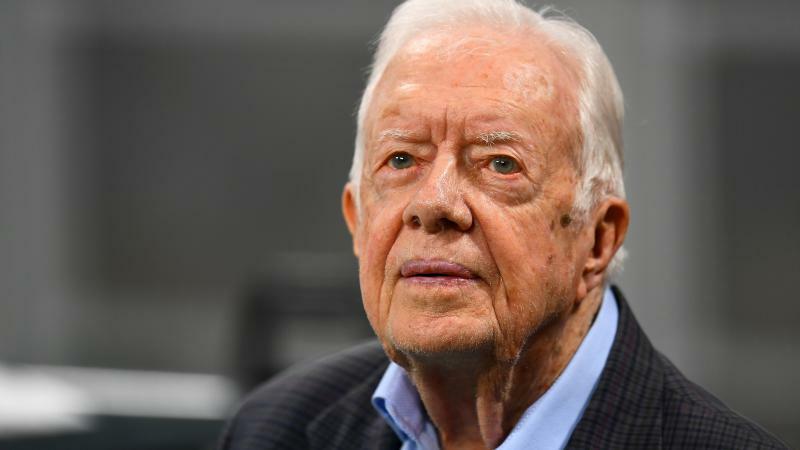 In today’s Friday Conversation, President Carter talks with KERA’s vice president of news, Rick Holter, about what he calls “the human and civil rights struggle of our time” – how religions have systematically denigrated women, leading to prejudice, infanticide and horrific violence.